​An amenity rich terraced bungalow that’s sure to please. Situated in a quiet gated enclave of only 4 terraced bungalows this splendid property originally built as a two bed was cleverly modernized and reconfigured by its previous owner. Its location is hard to beat, across the road from the Dart beside St. Joseph’s Church in the highly regarded Glasthule Village with its bustling array of quality shops, restaurants, wine bars and only minutes from the southsides most envied maritime promenade. Tiled floor and Velux window. Timber floors, recessed lighting, electric fire and bay window. Stairs to mezzanine. Spacious, with timber floors Velux skylight and fitted shelving. Bath with over head shower, Velux window w.c. and w.h.b. 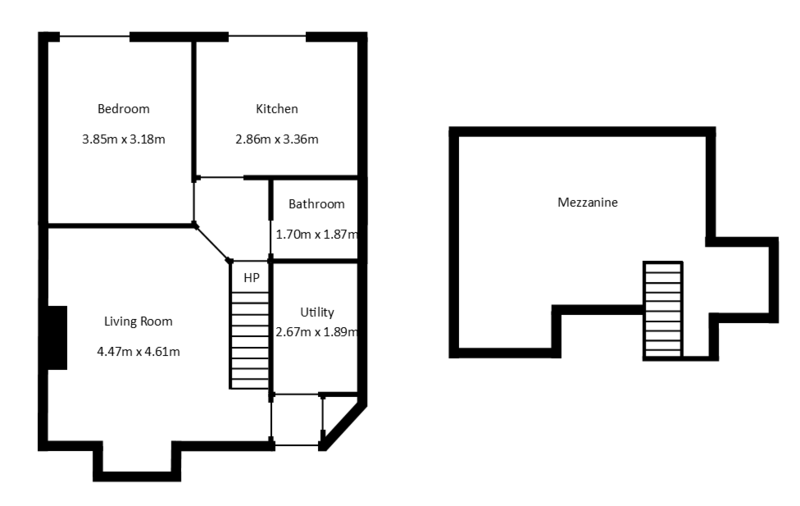 Double room with fitted wardrobes and access to rear patio. Tiled floor and range of fitted timber units. Sunny patio area with access from Kitchen and Bedroom. Designated parking space to the front.